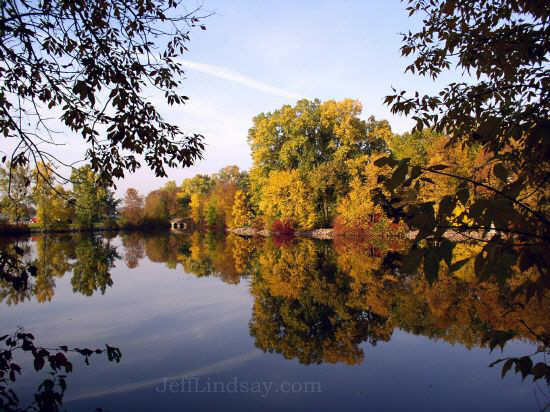 Jeff Lindsay's Favorite Photos: Appleton, Menasha, Atlanta, and Other Parts of the U.S. 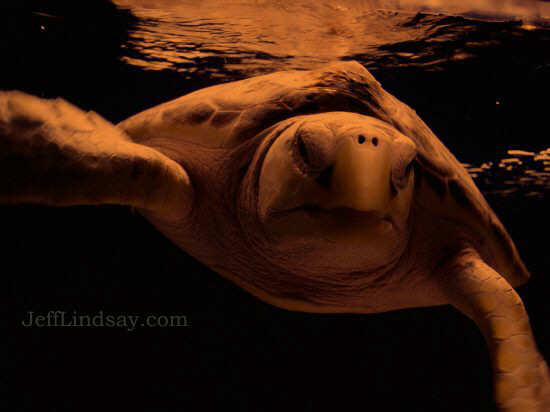 Favorite Photos: Jeff Lindsay. 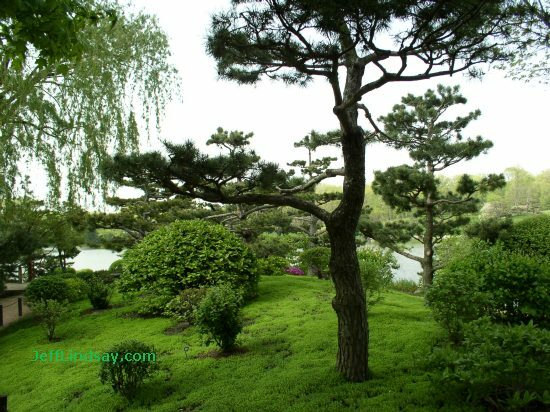 In May 2003, my wife gave me a digital camera -- an Olympus C-4000 -- as an early Father's Day present. 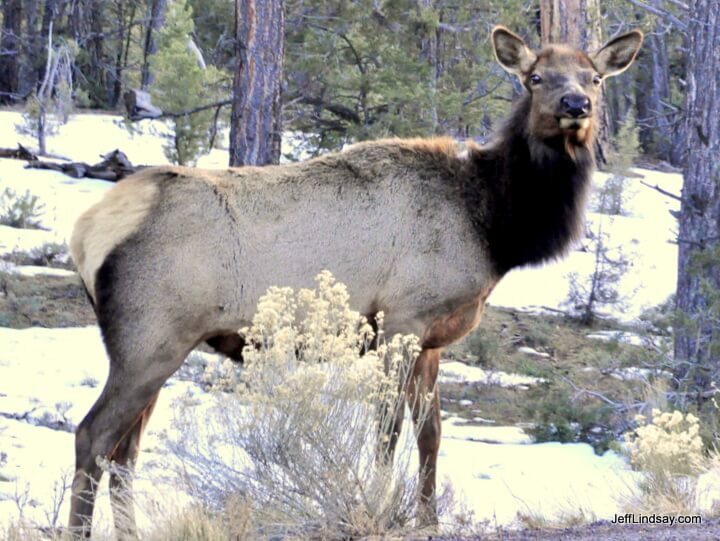 Then in 2005, I also picked up the Olympus C-765 Ultrazoom with 10x zoom. I've had a lot of fun ever since as a novice photographer. Below are some of my favorite "artsy" photographs. Also see page 2 of my favorite photos, my favorite photos from Cambridge, wedding photos I took at my son's wedding in 2004, favorite photos from 2004 (these are among the photos I have mounted as 11 x 14 enlargements in my home), and my newest favorite photos, mostly from 2005 and even more from 2005. Other recent additions from 2005 include photos from industrial scenes and photos of interesting people. There are also my favorites from 2006 and many others. More recent additions include photos from China and other parts of Asia, such as China Shots #1, China Shots #2, China Shots #3, China Shots #4, and --did you see this coming?--China Shots #5. 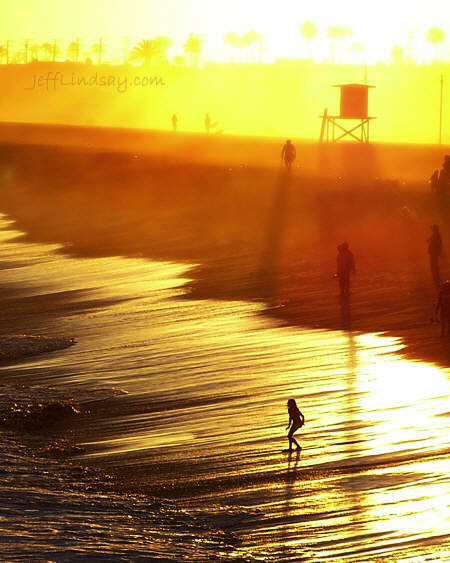 A girl prepares for incoming waves at Newport Beach, California, June 2005. I took this photo from a pier using an Olympus C-725 Ultrazoom camera. It's one of my favorites. A foggy day in Neenah, Wisconsin, on the Kimberly-Clark campus where I work. Oct. 14, 2005. 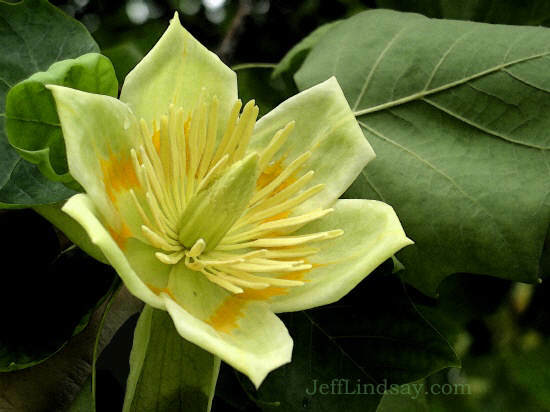 The flower of a tulip tree, photographed in June 2003 at the Morley Farm near Kirtland, Ohio, an LDS historical site. It was given a slight watercolor treatment with Microsoft software. 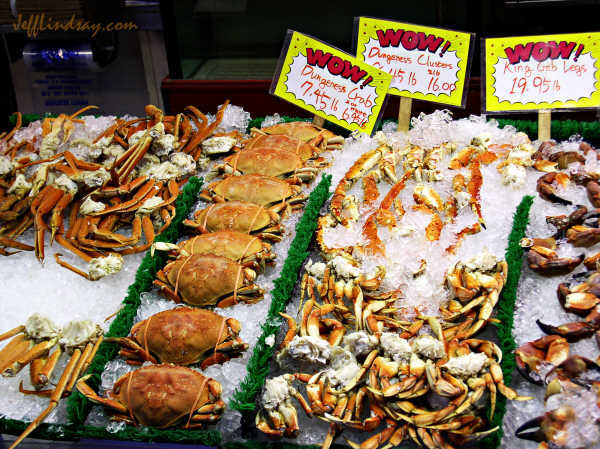 Crabs at the Captain White's fish market at a marina in Washington, D.C., just south of the Smithsonian. April 2005. 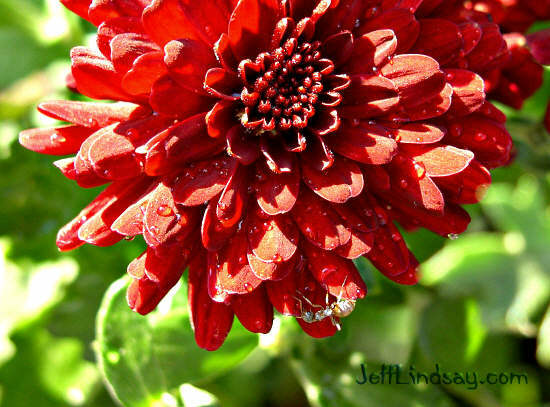 A photo of one of our mums taken in my front yard, Aug. 25, 2004. Notice the unusual bug - is this an ant? 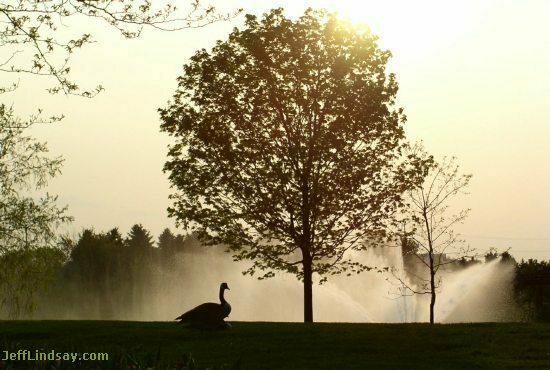 Silhouette of a goose (actually two geese, if you look closely) in front of a fountain at the Chicago Botanic Garden, just before sunset, May 23, 2003. 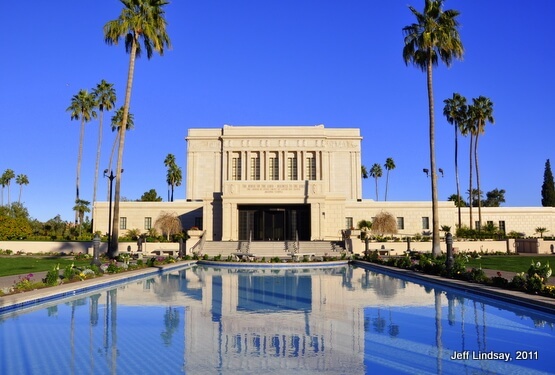 The LDS (Latter-day Saint or Mormon) Temple in Mesa, Arizona. 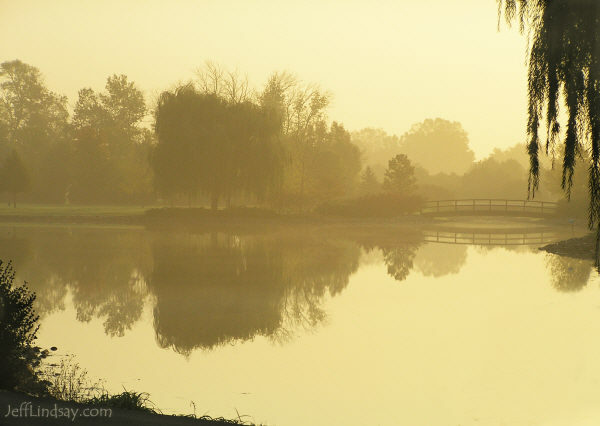 Photograph of the little lake in front of the Kimberly-Clark West Office Building in Neenah at 2100 Winchester Road, on a still October morning, 2003. 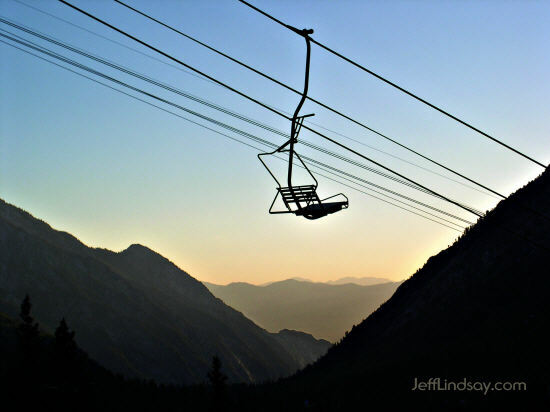 A lonely ski lift in the Utah Rockies (Wasatch Mountains) above Snowbird in Little Cottonwood Canyon near Salt Lake City, July 2004. 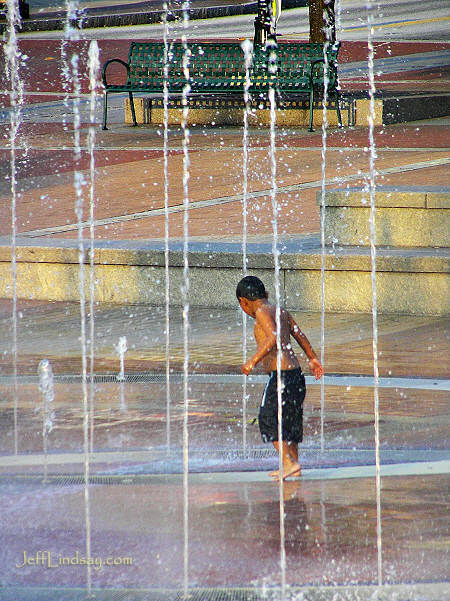 A boy playing in the water fountains in Atlanta's Centennial Olympic Park, Sept. 13, 2005. 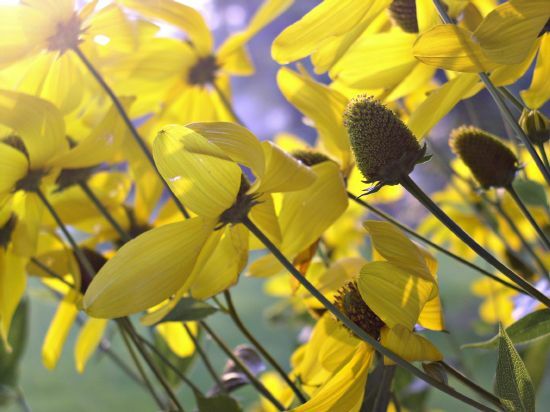 Yellow flowers in front of Menasha High School, August 2003. One of my first photos, taken in the Twin Lakes area of Wisconsin, May 16, 2003. 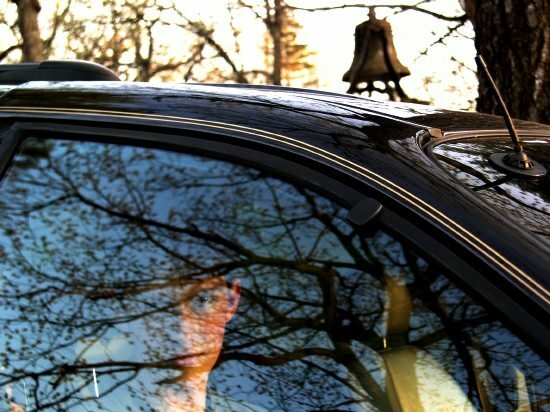 I love the interaction of the eye and reflected tree. 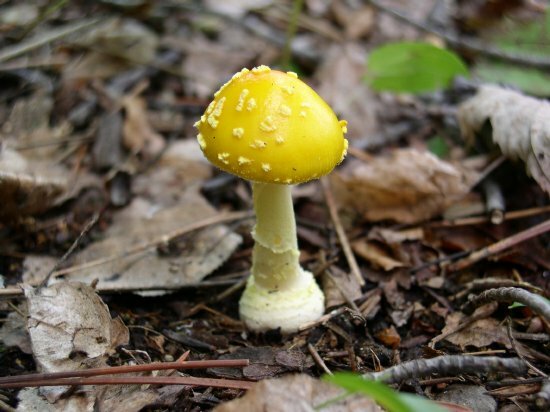 While at Camp Bear Paw near Mountain, Wisconsin, I was pleased to find and photograph this yellow mushroom in August of 2003. 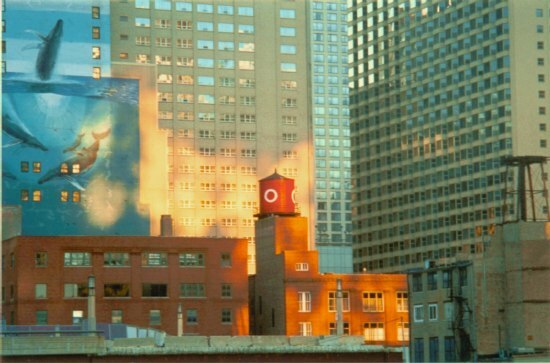 While in Chicago in May 2003 to give a paper at a conference, I found an interesting scene in which the light of setting sun was reflected by the windows of a tall building against the buildings and water tower shown here. 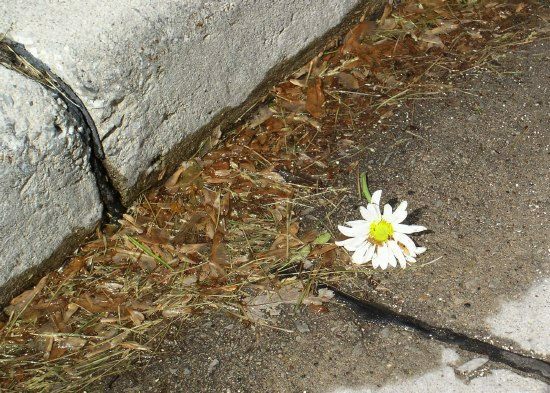 After a rainstorm in July 2003, I saw this flower in the gutter next to City Park in Appleton. I took just one shot as I was hurriedly walking by - but it turned out to be one of my favorites. 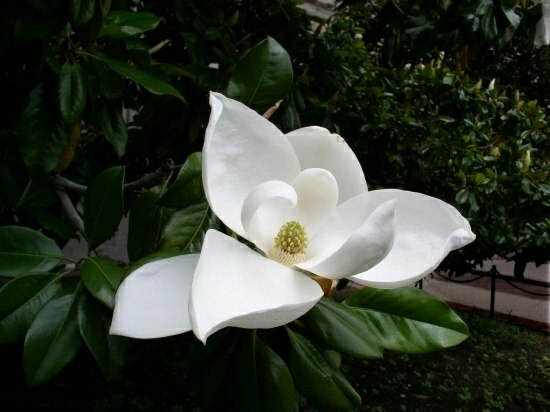 This magnolia blossom was photographed while my family vacationed in Washington, D.C., June 2003. I was thrilled with how the rich white color stood out from the background. Sunset over the Mississippi River after a storm, Nauvoo, Illinois, June 2003. 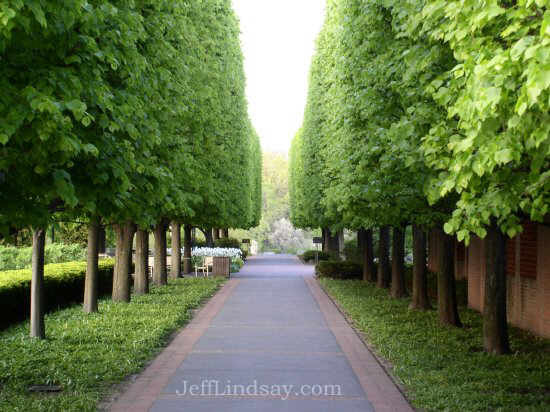 Trees along a path in the Chicago Botanic Garden, May 23, 2003. 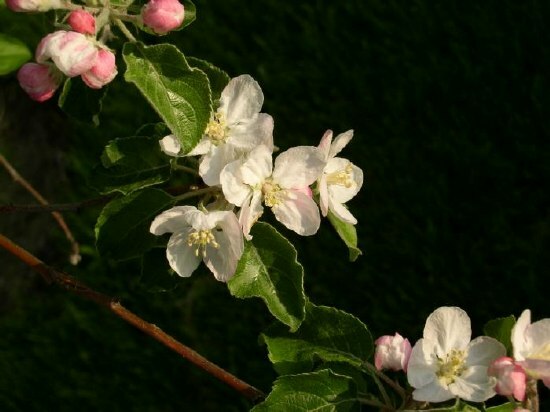 Apple blossoms photographed one morning in my yard, 2003, with flash to increase the contrast between the flowers and the grass in the background. 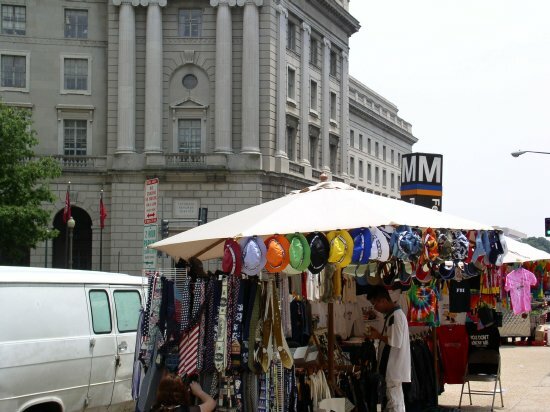 Hats sold by a vendor in Washington, D.C., June 2003. 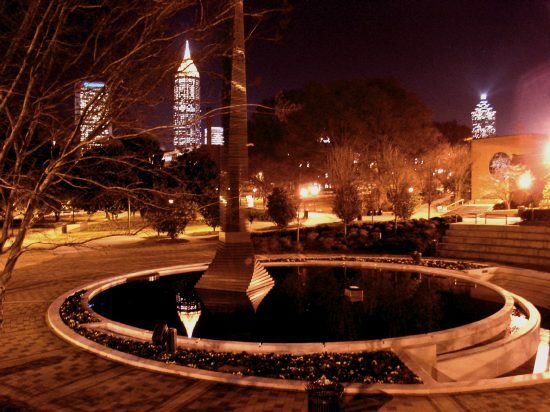 Evening view on the Georgia Tech campus, Atlanta, Feb. 9, 2004. 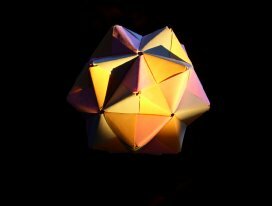 "Antimatter Snowpuffs." This image is the negative of a blue-enhanced photo of snow on top of the remnants of cone flowers in my front yard. 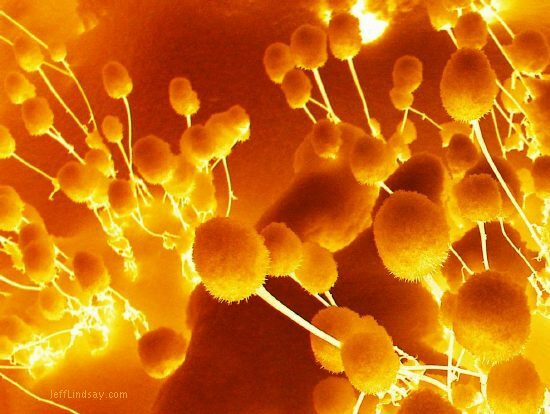 It looks like some kind of microbes. 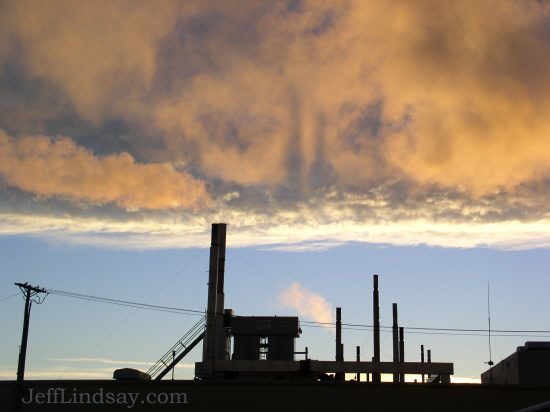 Sunrise above a factory with shadows of smokestacks showing up in the plumes. Menasha, Wisconsin, Dec. 2003. 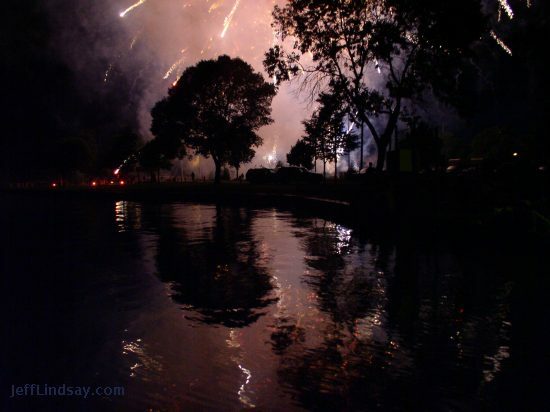 Fireworks as viewed in Jefferson Park, Menasha, July 4, 2003. 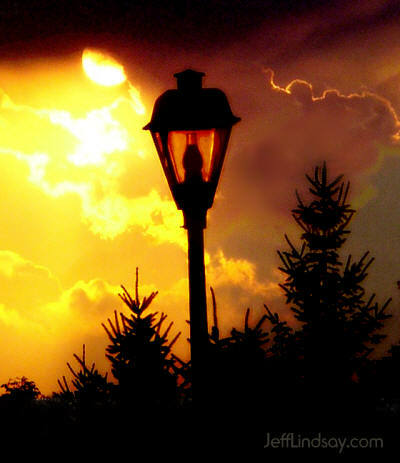 Street lamp in Appleton with an unusual sunset brewing, taken Sept. 1, 2004 and slightly modified in color. 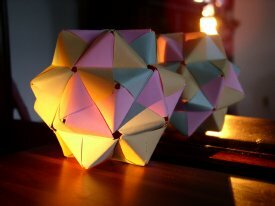 Two views of a folded paper object given to my family as a gift from the Hmong woman who made it.